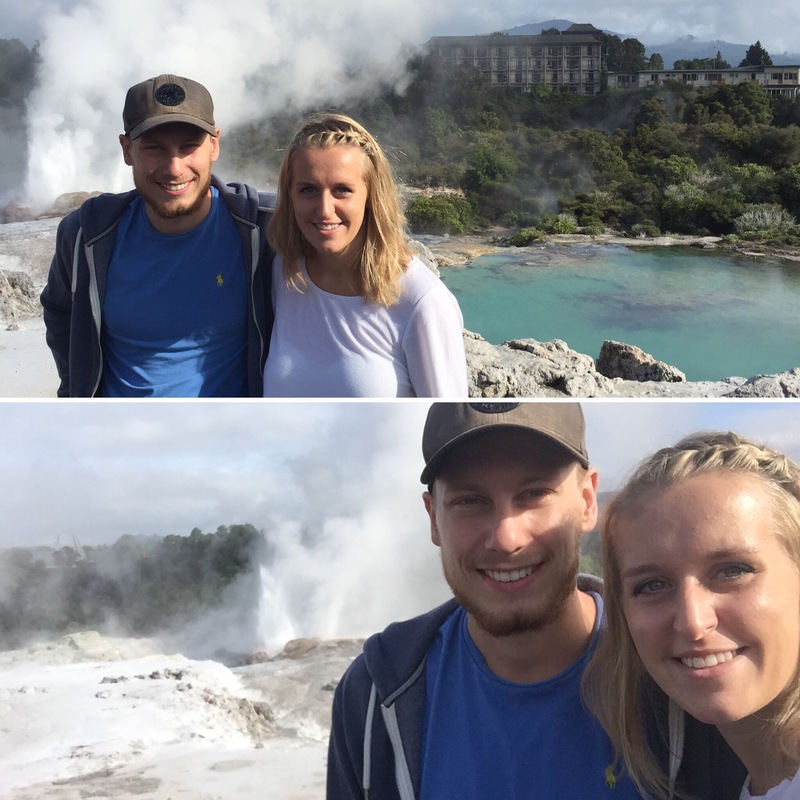 Before we headed to the Tamaki Maori Village we had a couple of hours to have a look around Rotorua. 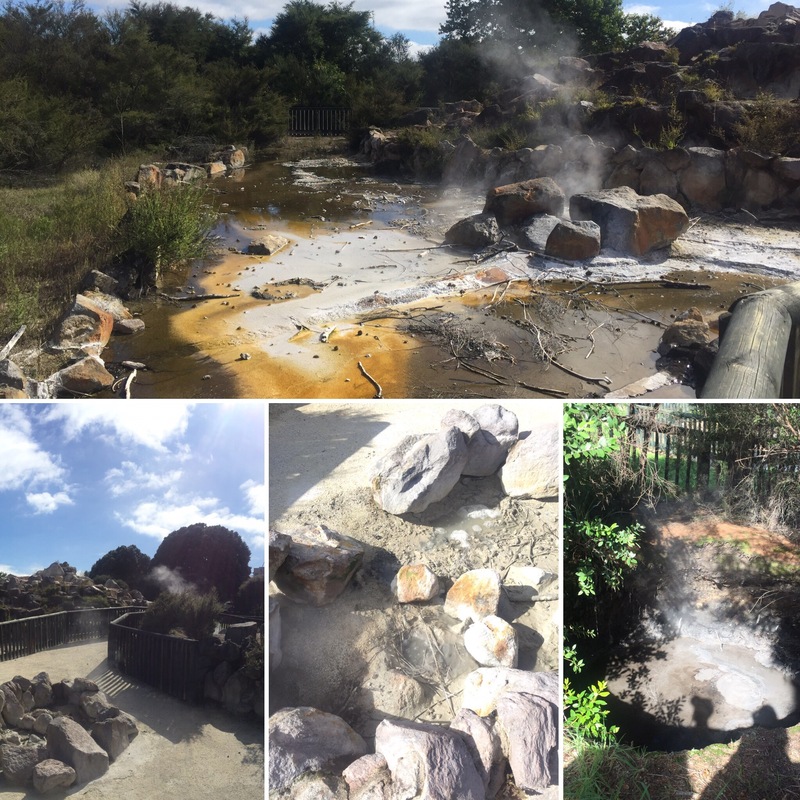 Rotorua is one of only sixteen places in the world to have geothermic activity and it is one of the most volcanic and geothermic active places in the world. 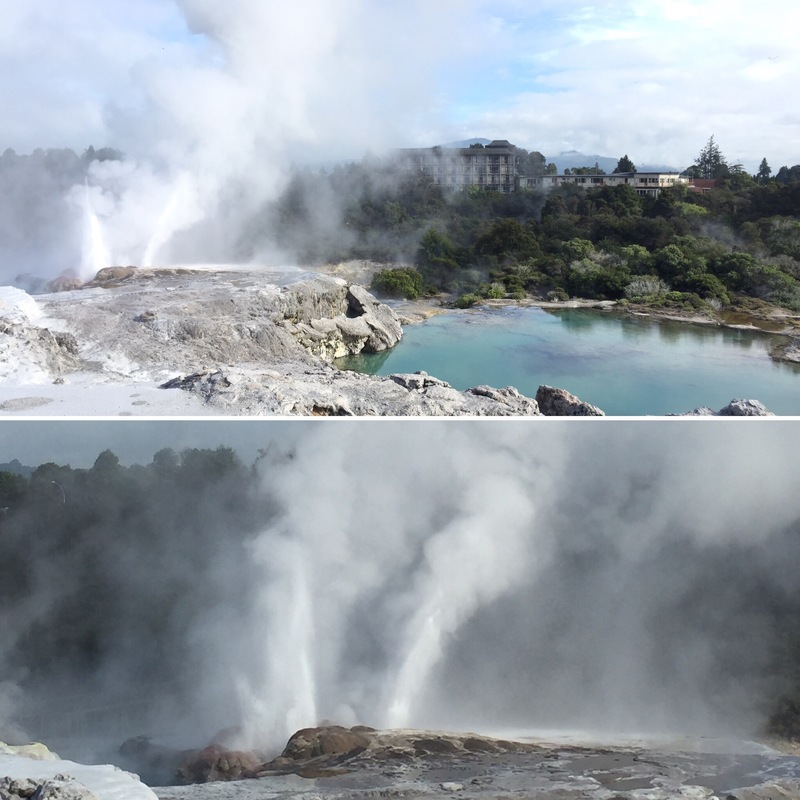 Not all of those other 15 places have geysers like Rotorua so it was really cool to be able to have a look around. We would be spending a couple of nights here to make sure we saw as much as possible. 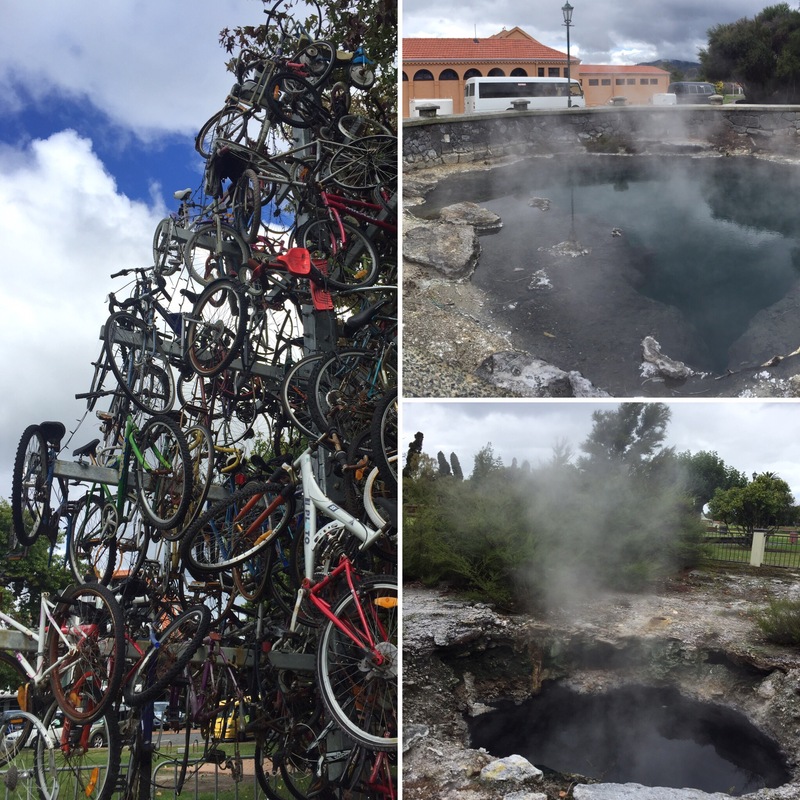 Rotorua sometimes gets nicknamed ‘Stinkcity’ or ‘Rottenrua’ and that’s because of the hydrogen sulphide coming from the volcanic activity under the ground. It wasn’t long until we got our first whiff of the strong rotten-egg smell that drifts around the city when the wind picks up – delightful. 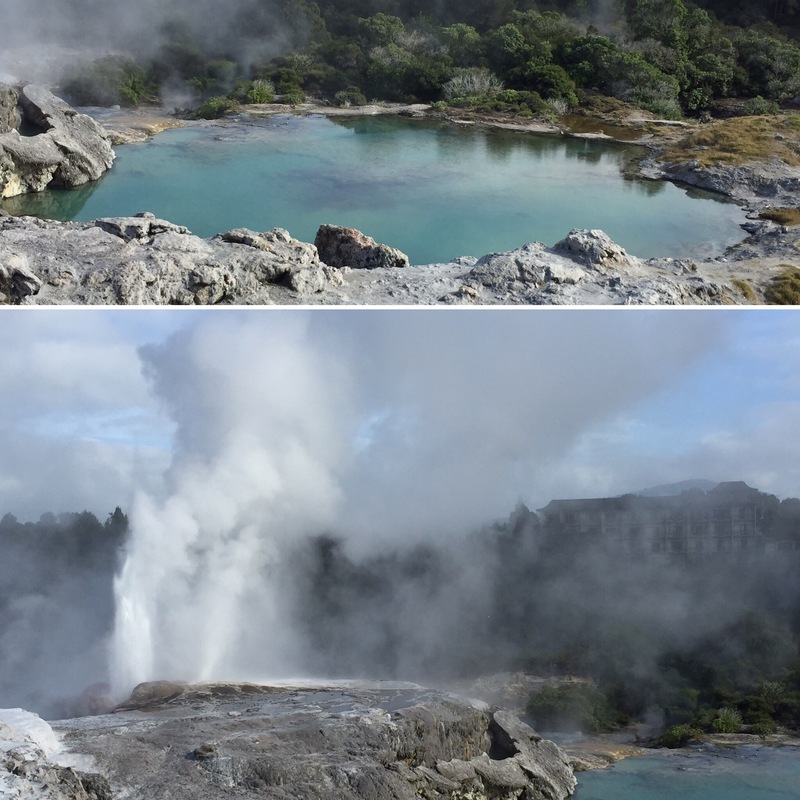 Apparently, Rotorua is 600 years overdue for another giant volcanic eruption – the volcano that Rotorua and a lot of the North Island rests on (known as a super volcano) is dormant and, really, its unlikely to ever erupt in our lifetime. Two thirds of the population in Rotorua are Maori and it’s referred to as the Maori capital of New Zealand so we were looking forward to learning a lot more about the culture that runs through the whole country. 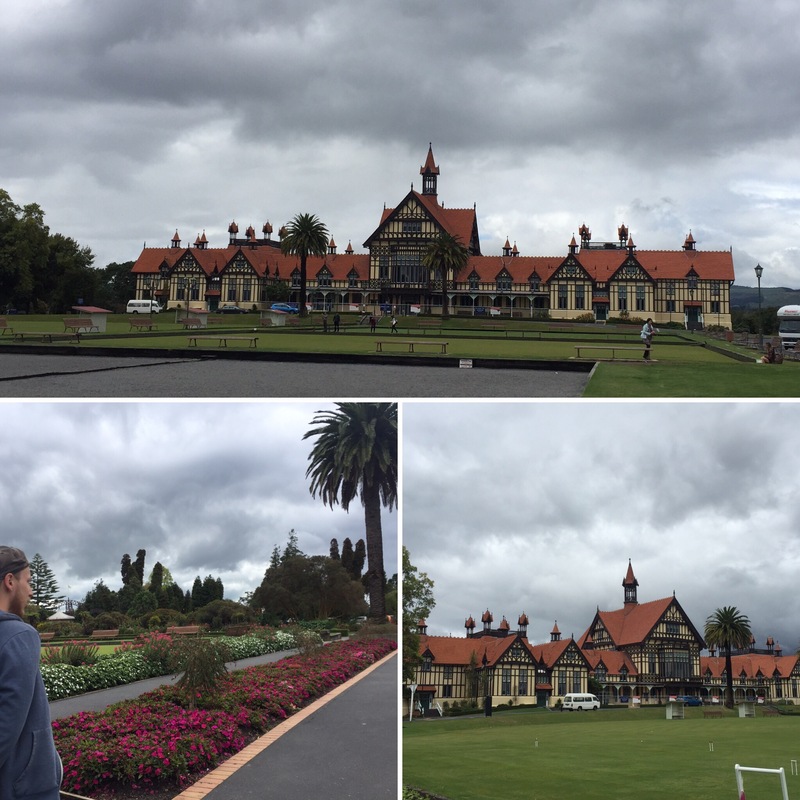 Because of the geothermal activity and the Maori culture being so strong here, it is the most visited tourist destination in New Zealand.On the 30th March 2017, before heading to the Maori Village, we had a walk through the Royal Gardens by the lake (Lake Rotorua) and around the town centre. 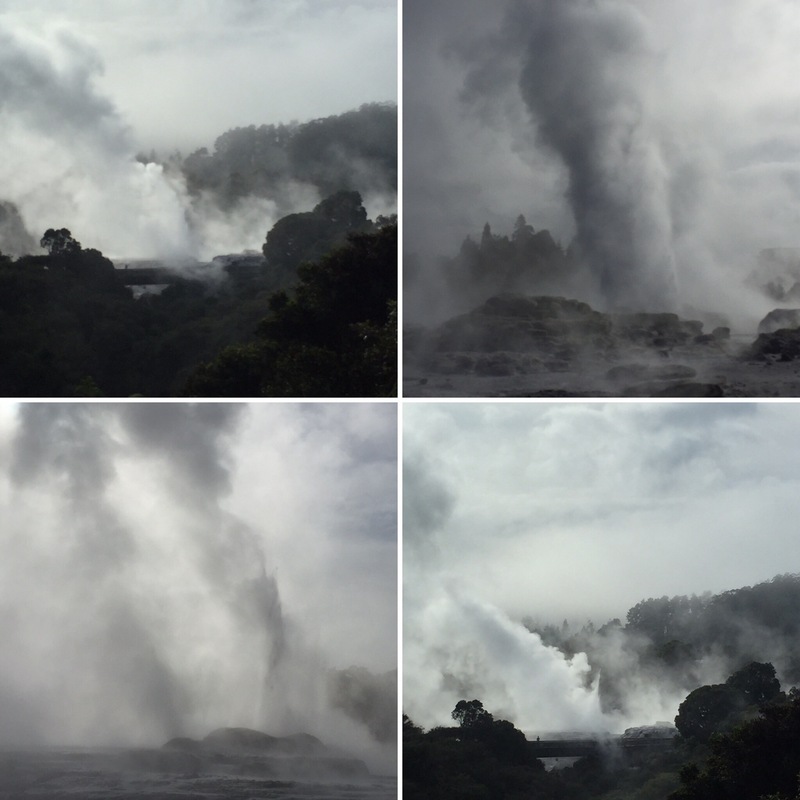 We saw steam coming up from the floor in random places like in between paving slabs or by a lamppost which was really strange to see and we were looking forward to getting more time to explore this interesting place after the Maori Village. 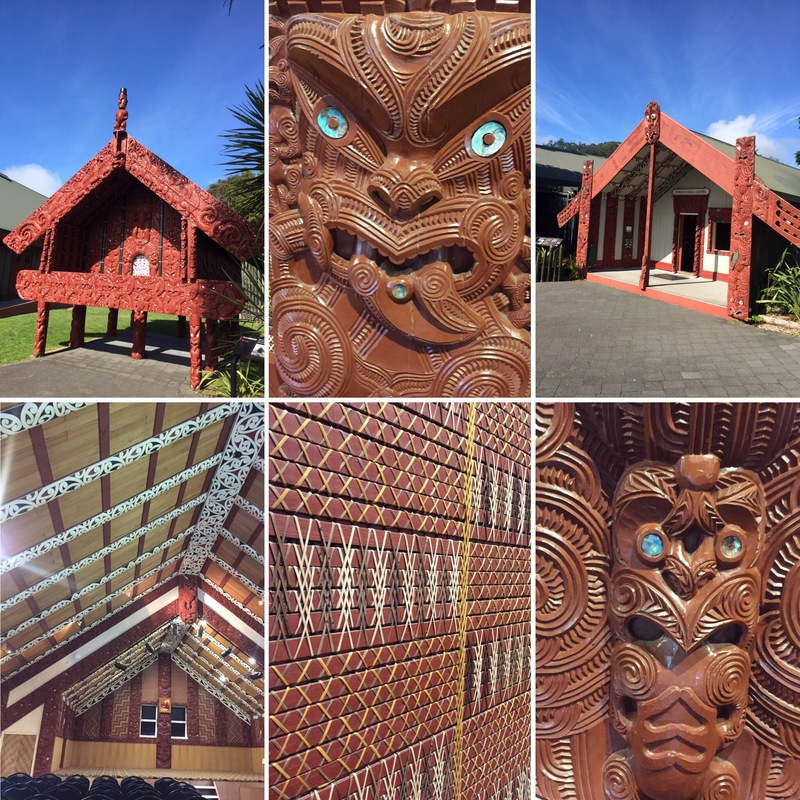 We arrived back into Rotorua early on the 31st March after a big breakfast at the Tamaki Maori Village. We had a full day to explore as much as we could as we were leaving the next morning to go to Taupo. 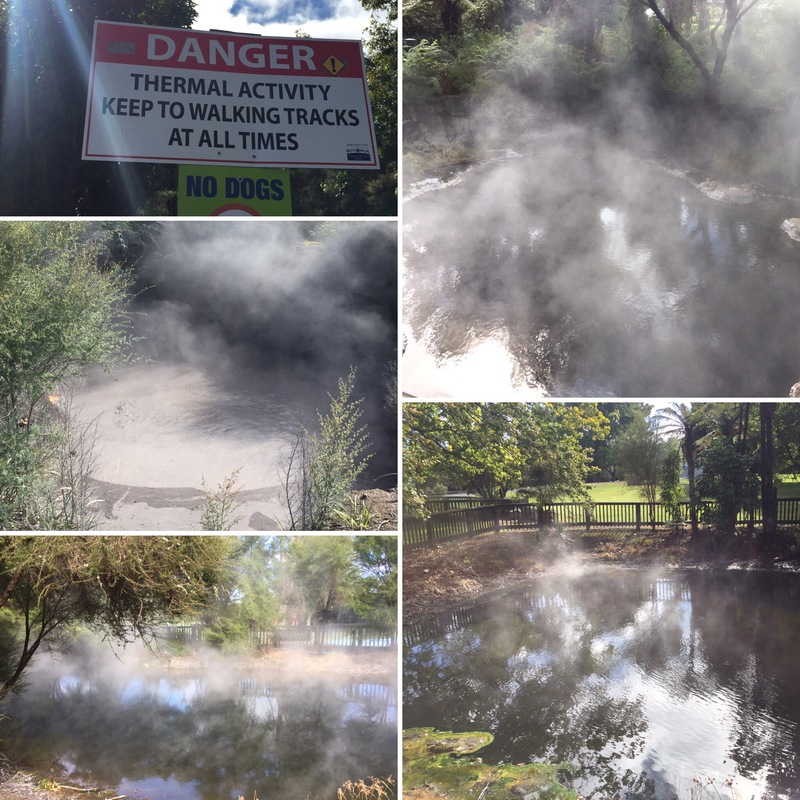 We started by seeing some of the geothermal activity in a giant park opposite the hostel (called Kuirau Park). 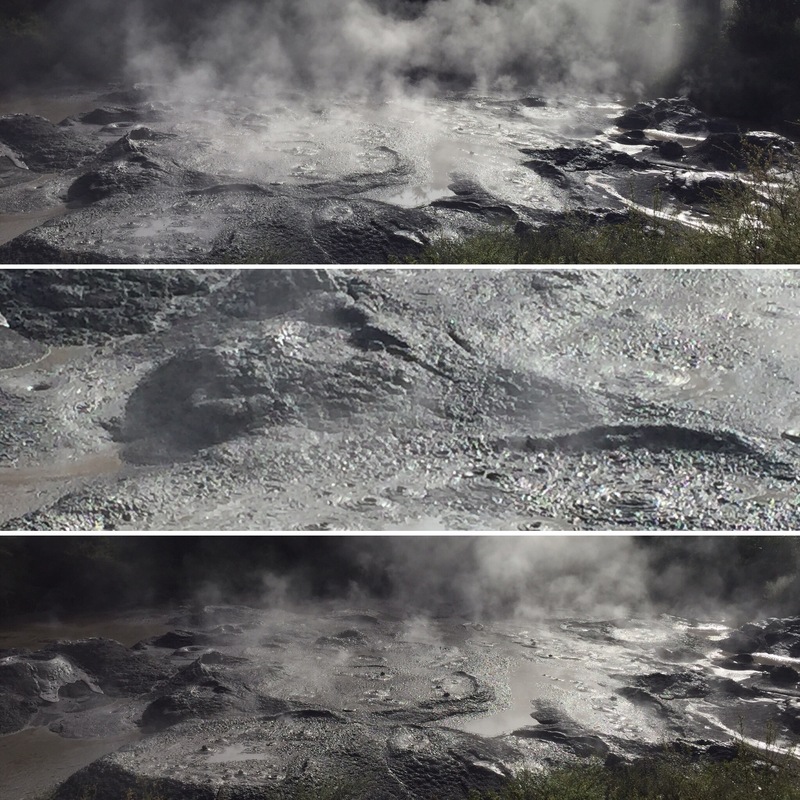 There were loads of bubbling mud pools and huge plumes of steam coming out of the ground with areas being fenced off as the steam can be scolding. 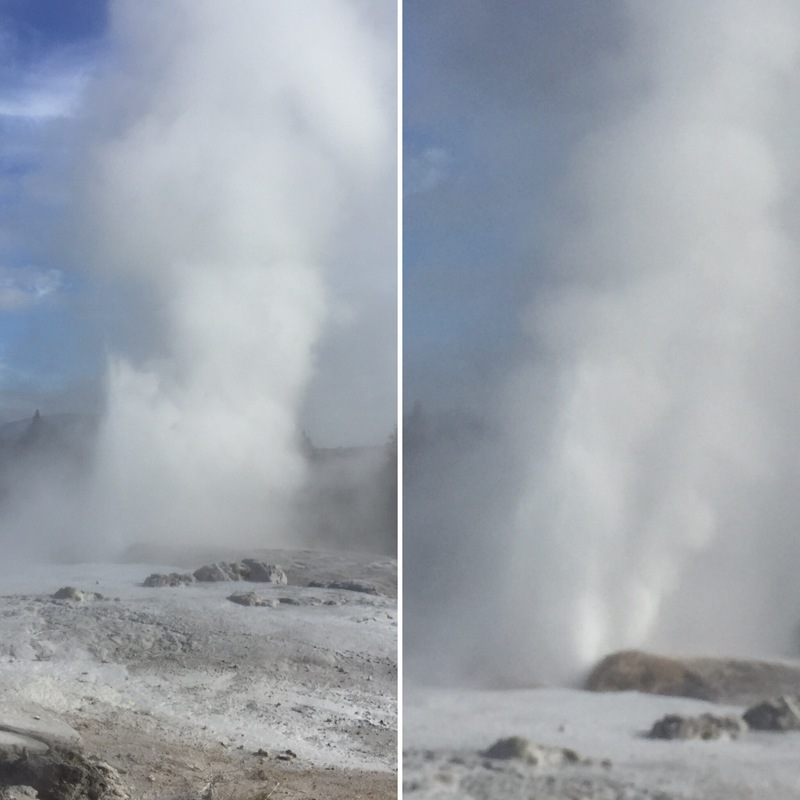 It was so interesting seeing so much geothermal activity just in a public park so easily accessible – I always pictures it to always be far out of the way like having to go to Yellowstone National Park. 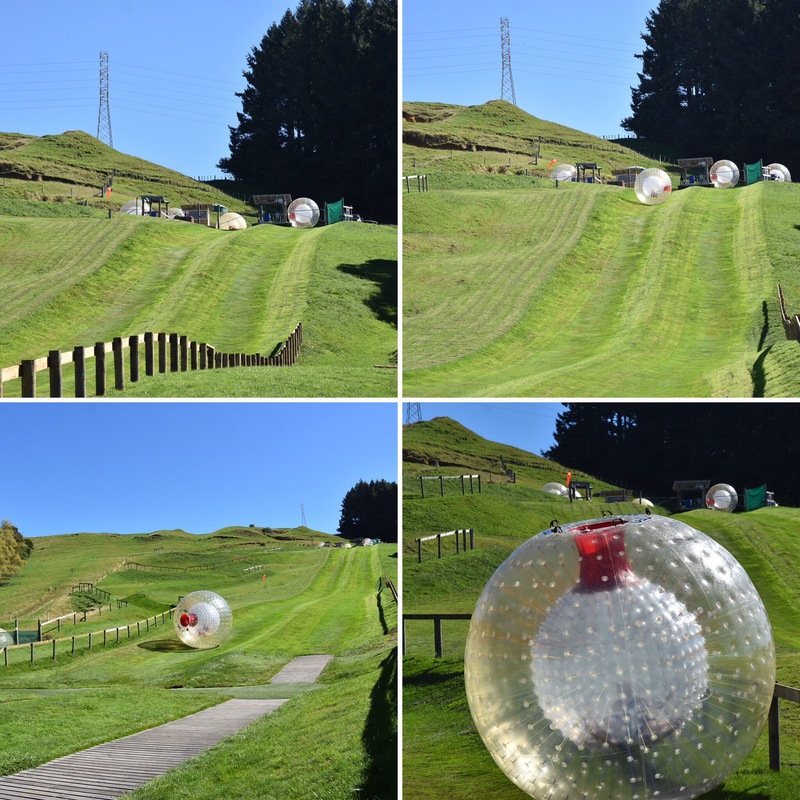 One of the things we were really looking forward to while in Rotorua was to go zorbing. 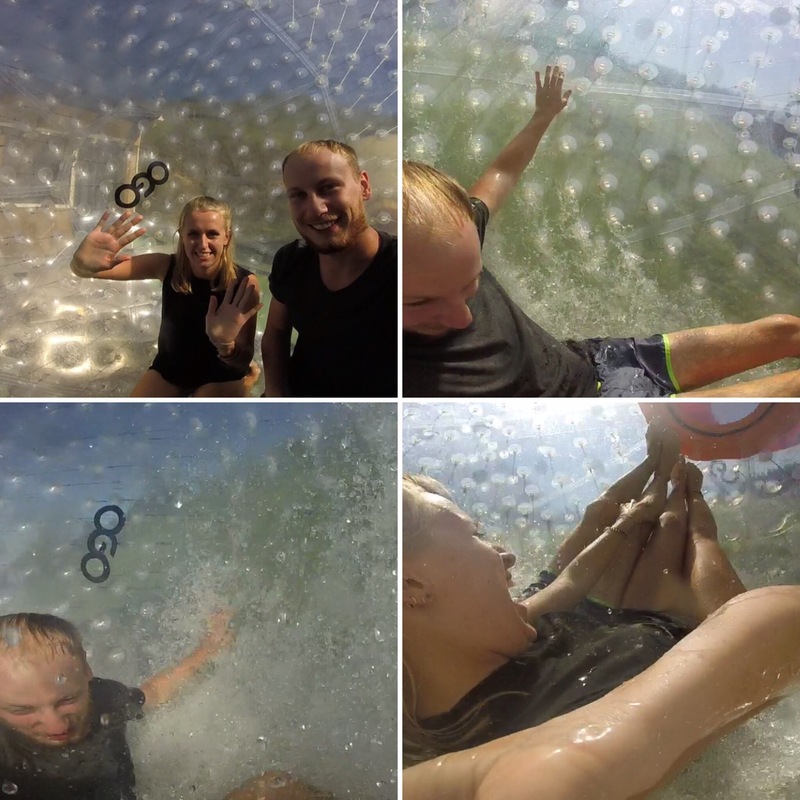 Zorbing is when you get into a a giant inflatable ball and roll down a hill. Niall had planned on taking me zorbing in Newcastle upon Tyne for a christmas present a couple of years before but then the company in Newcastle stopped doing it so we never got a chance. 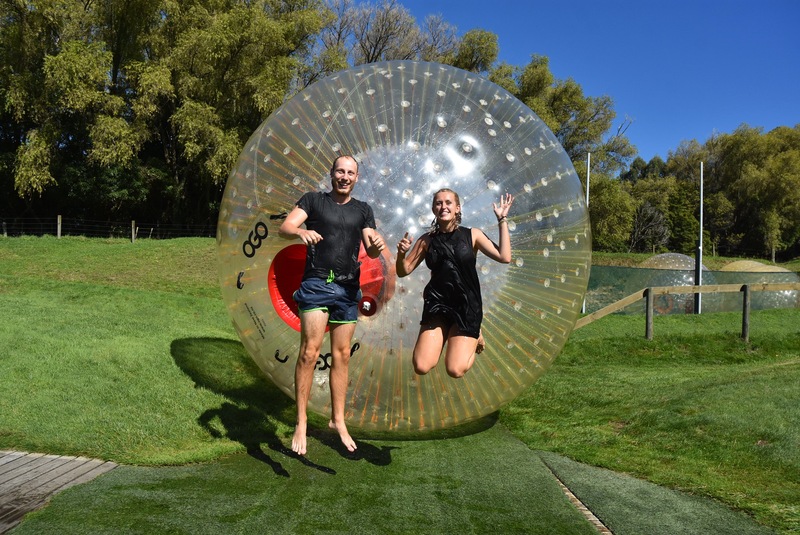 Rotorua is the home of zorbing as it was invented there and so we thought what better place to do it than whilst we were here and we are so glad we did! 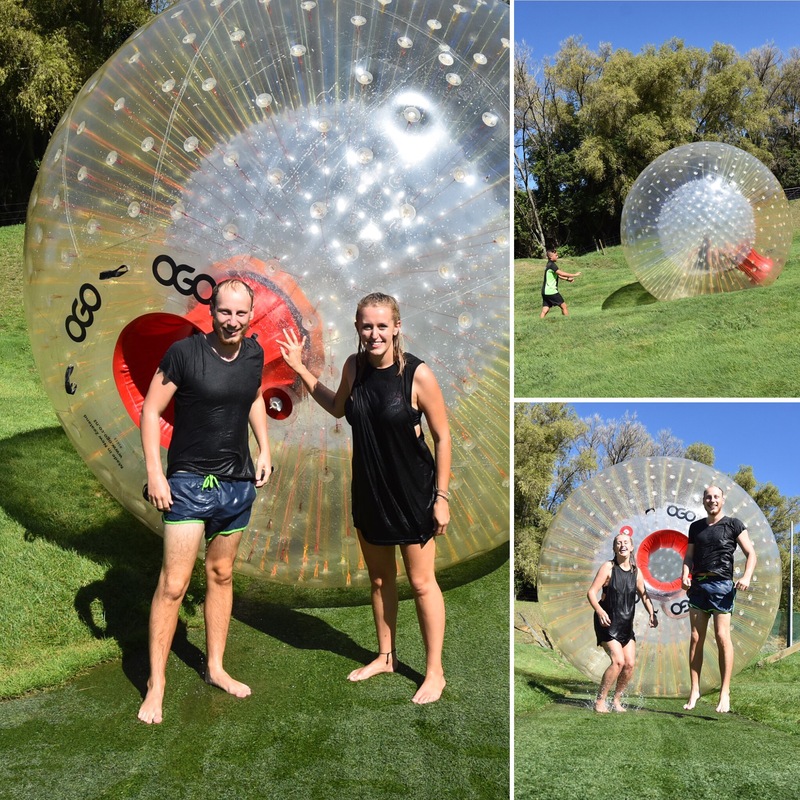 We had two runs down the hill and we also chose to go in the zorbing ball together which we knew would be so much more fun than doing it alone. 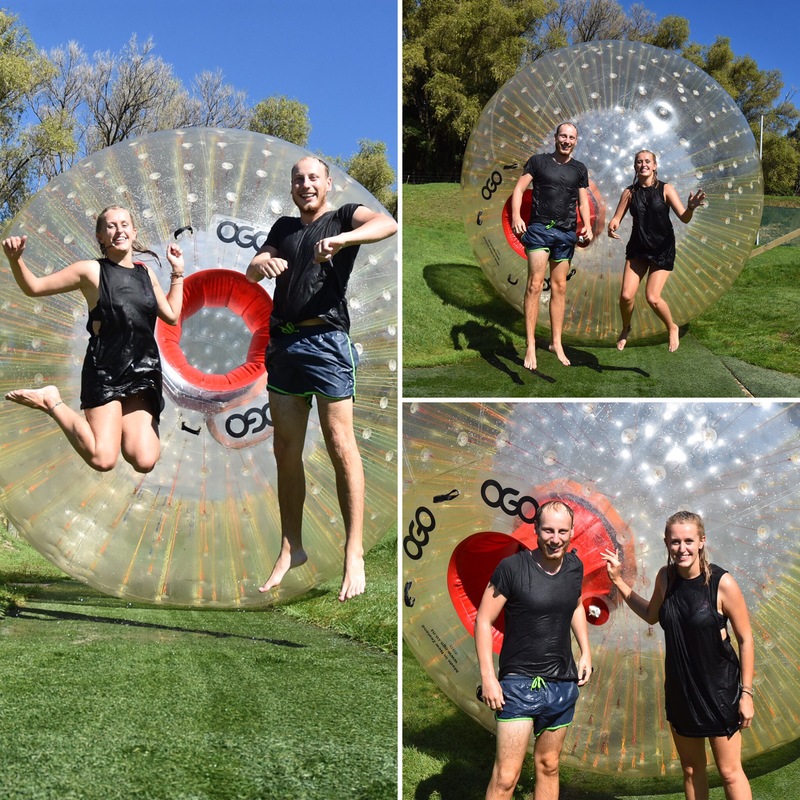 We went to the company Ogo as we were able to get a deal for two rides for the price of one and they would let us go down in a ‘zorb’ together. The first time going down a hill was in a water filled zorb, straight down a hill. 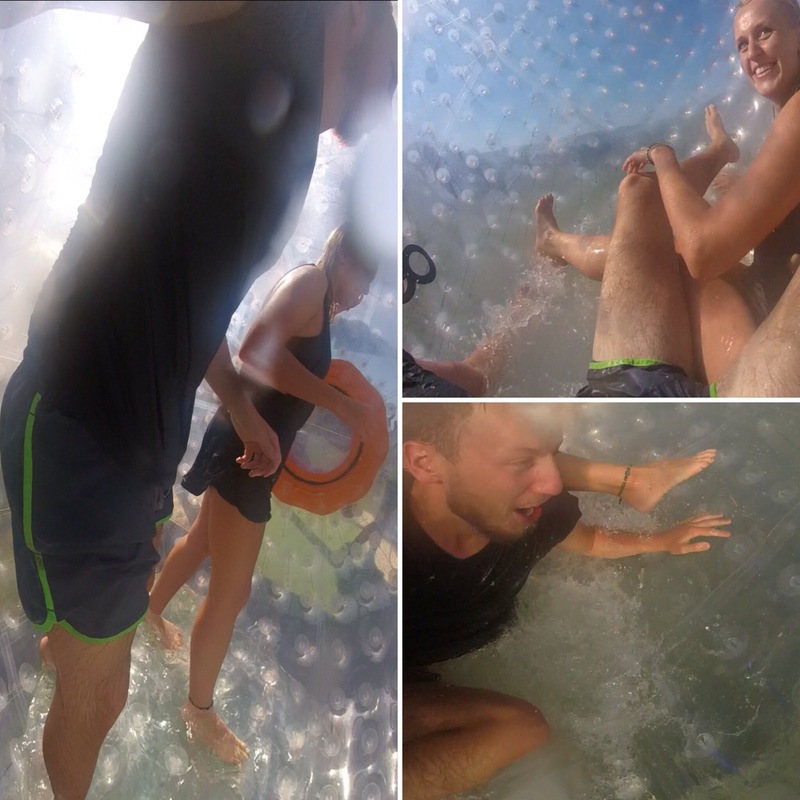 There is only a little bit of water in there to make you slip about (which is way more fun) and you have to clamber into the zorb through a little tube in the side that then gets zipped closed. The views from the top of the hill were incredible, it made me wish I had my phone up there to show you all – it looked out over the whole town and over the lake – stunning. We didn’t know what to expect but it really was one of the most fun experiences of our trip. The zorb went down the hill loads faster than we had expected and we slipped the whole way down – I don’t think we were on our feet once during the whole ride down! We didn’t stop laughing and couldn’t wait to go down again, this time in a zig-zag. There were other people there that were going down the zorb before us and now we were wet so they got you to wait in hot tubs which we loved to keep warm before our next ride down. They drove you to the top of the hill and got you to wait again in a hot tub but this time with a great view (hard life I know). 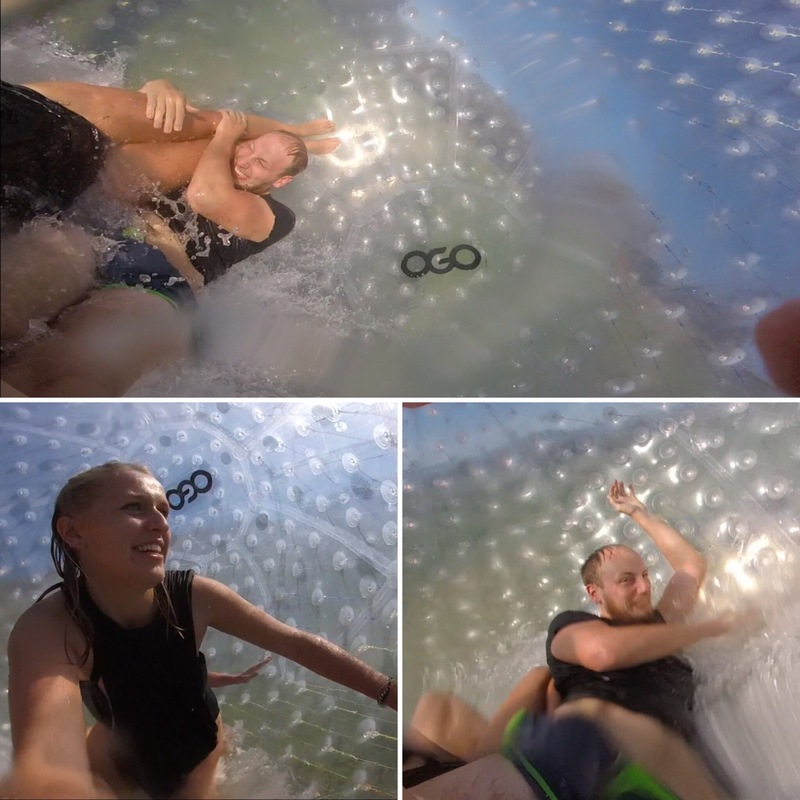 Our last zorbing ride was in a zig-zag route down the hill, again with water in it. We flung ourselves into the ball, stood up on the side and pushed ourselves down the hill. It wasn’t long before we were in a heap in the middle of the zorb, not knowing which way is up, sliding down the hill. 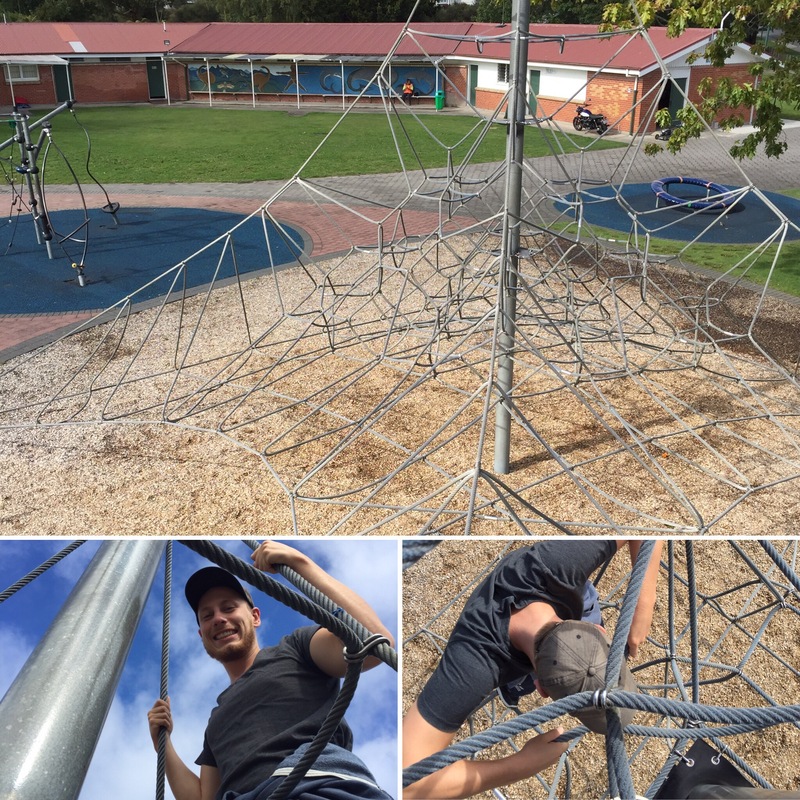 Because of the zig-zag route, we were nearly upside down and it was just so much fun! I am so glad that we got to do both the routes down the hill to see the difference and I honestly can’t decide which I prefer so I recommend doing them both. 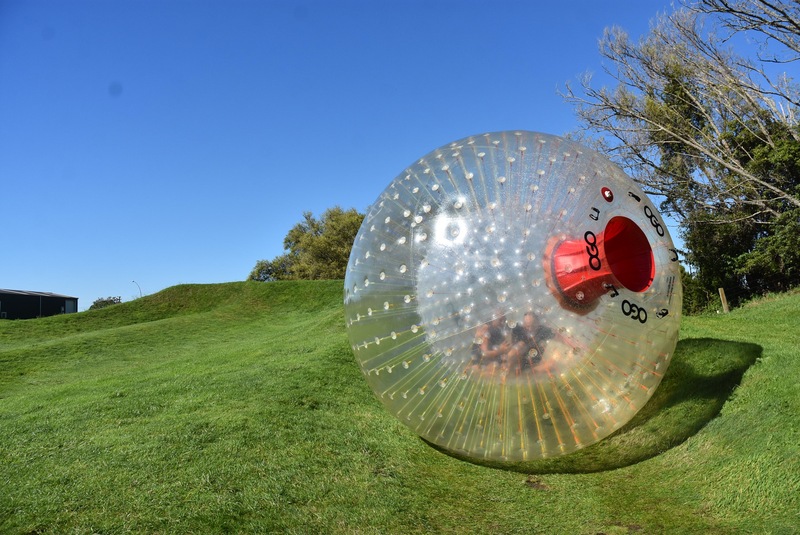 We loved zorbing and could have spent a day going down the hill again and again. On the 1st April 2017, we got back on the bus and headed to Taupo. On the way we went to Te Puia which is an enormous geothermal park on the edge of Rotorua. We were shown around by a really nice guide who was the fifth generation in her family to work at Te Puia. The site was filled with mud pools that were over 100 degrees celcius, bubbling away and steam was coming out the ground – in a much bigger way than at the local park we visited the day before. The biggest feature of the site was a 25,000 year old geyser that can blow steam into the air to a height of 30m. We arrived as the geyser was in full steaming mode which was really cool to see – there was just a mass of steam filling the sky with a massive amount of force. 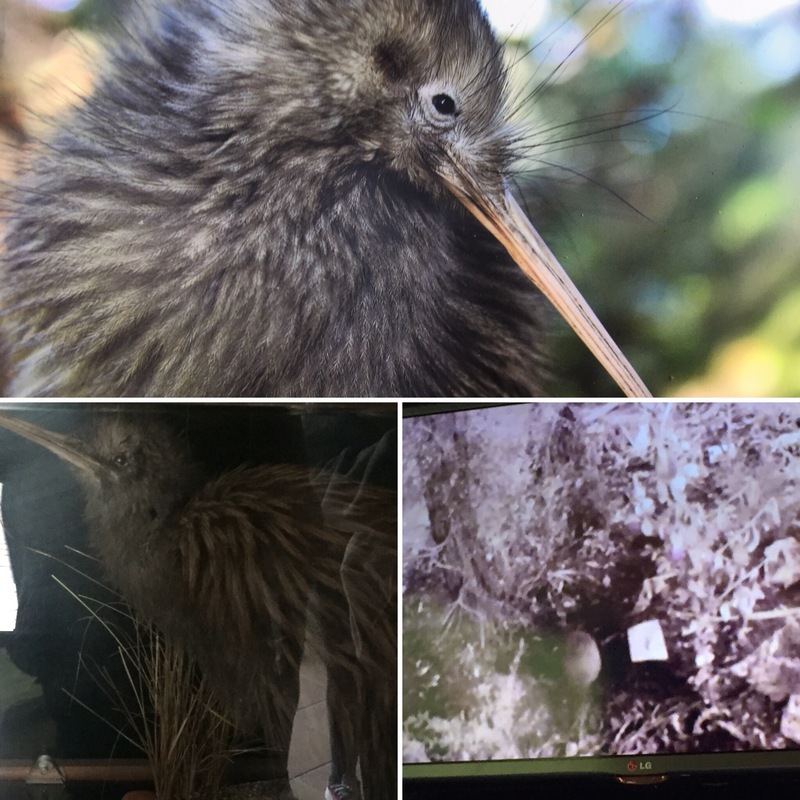 The site also has a kiwi bird experience as they are involved in a breeding programme to help the kiwi population so it was really cool to see a kiwi in real life. The kiwi was in a dark room as they are a nocturnal animal, so the site has them in the dark in the day so they are awake for people to view, and then turn the lights on at night to replicate daytime. The kiwi they have on site at the moment is called Marama which is Maori for moon. The eggs take up two thirds of the kiwis body which would be the equivalent to giving birth to a two year old – no thank you! 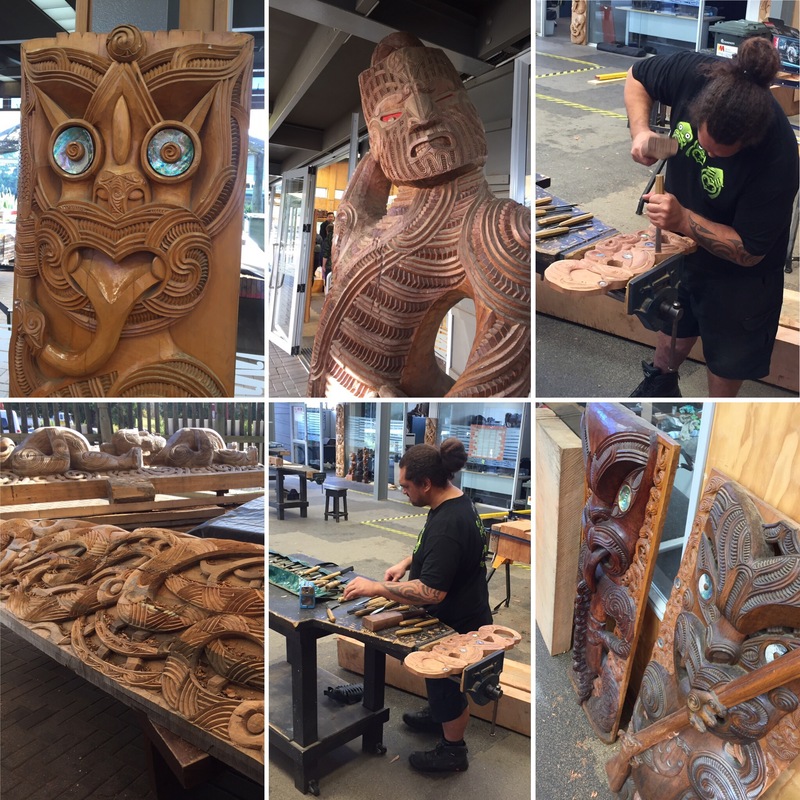 The site also has a school which gives out scholarships to help people learn Maori crafts to keep the traditions of the Maori’s going into the next generation which is really nice. 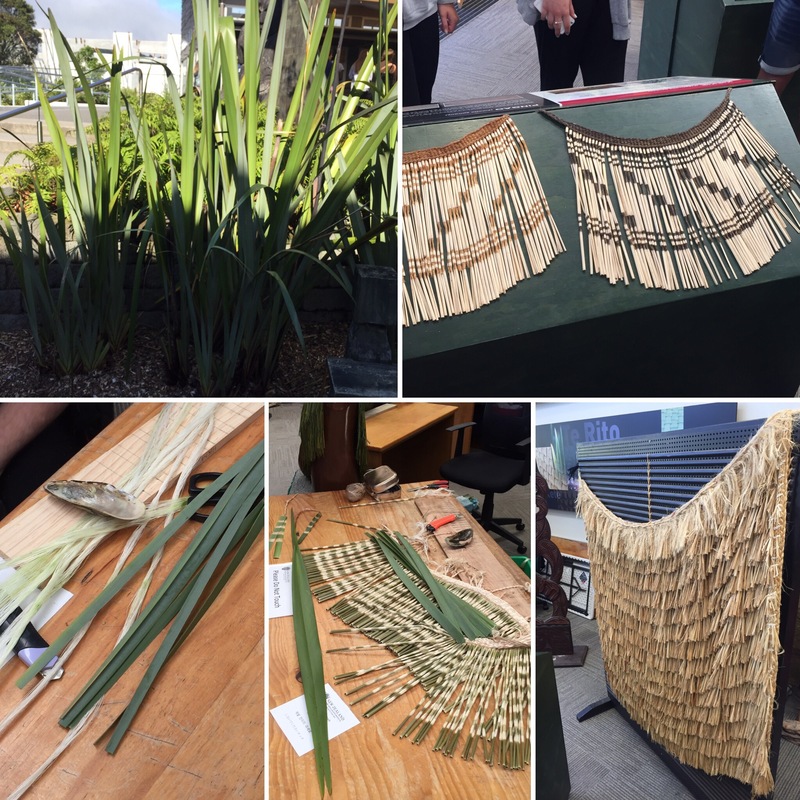 They make traditional clothing using flax which is a fern that is stripped and woven into material. They also do stone and wood carving and we got to see a wood carver at work in the workshop which is all done using tradition hand-held tools. Our final stop on the tour was to a hot pool which is still used by the villages who run Te Puia for cooking food. 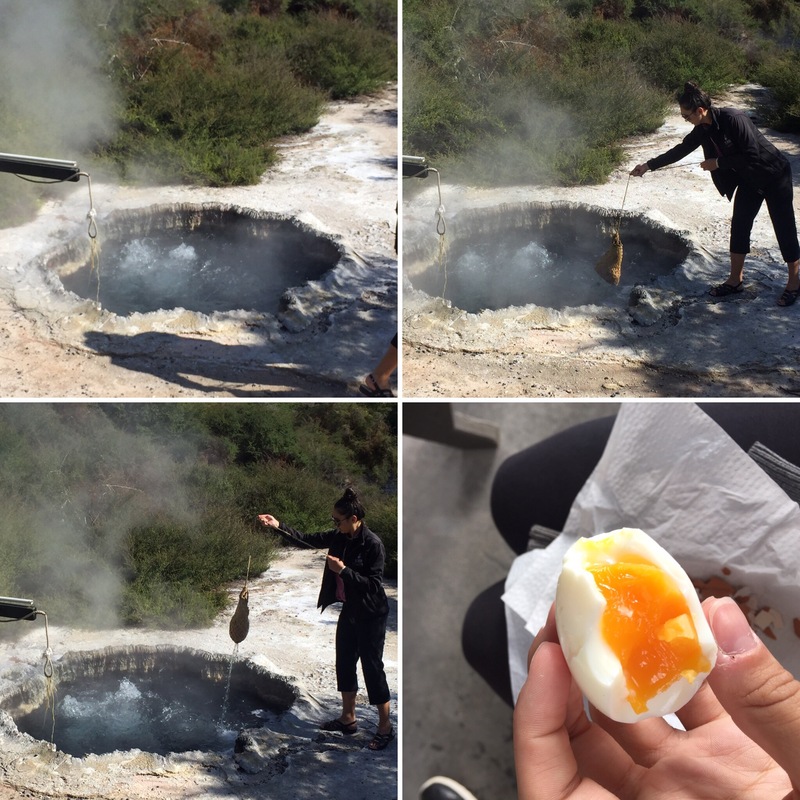 We had carried around eggs for the duration of the tour and now the tour guide placed them into a hot pool and left them for around 6 minutes before taking them out and giving us all one to eat. The egg was perfectly cooked and it was amazing to eat something that cooked entirely from a natural ‘pot’ of boiling water. That was the end of the tour and it was time to get to Taupo. 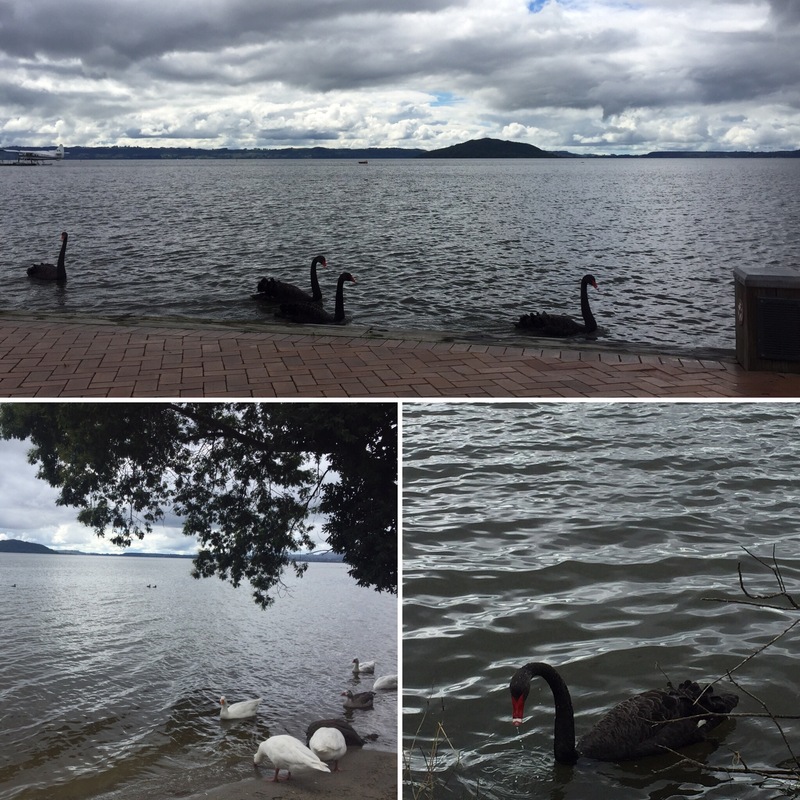 Rotorua was a great stop for us. 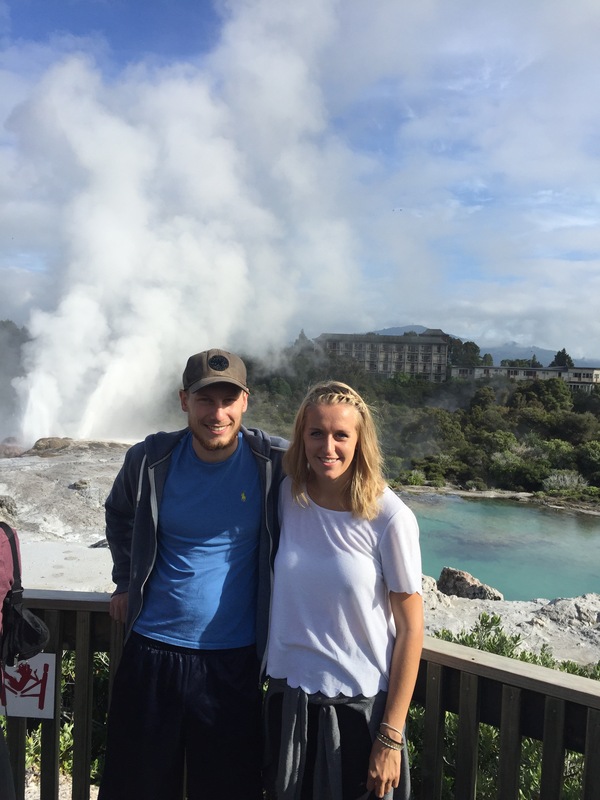 We had so much fun and it was great getting to see a lot more of the Maori culture as well as a giant geyser that people flock from around the world to go and see.